It’s Friday evening, the start of a few days off, the punctuation at the end of the work week, the light at the end of the tunnel. It’s the perfect time to set yourself up for some rest and rejuvenation over the next couple of days. Need some inspiration to get your weekend off to a great start? Look no further. After a long week, it’s easy to feel rundown and low energy. From Marie Forleo, what to do when you doubt everything and just wanna stay in bed. Easy hair is imperative on your days off. Try a subtle twist into a side braid from Cute Girl Hairstyles. I didn’t get it quite right on my first try, but I did on my second, and got lots of compliments on it at the hockey rink last weekend. After hunching over at work for hours and hours, a good stretch can be just the thing. Try these three yoga postures for rounded shoulders from the Peanut Butter Runner (and now I have peanut butter cups on the brain). Saturday is the perfect day to get your body moving after a good night’s sleep Friday night. Not eager to workout? Check out what Tara Bliss tells herself when she doesn’t want to move her body and galvanize yourself to get physical. 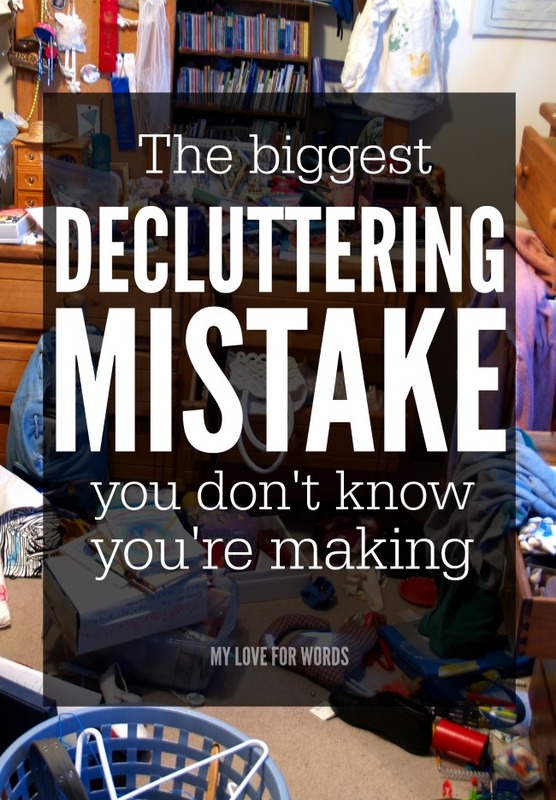 Wanna tackle some of that clutter? Check out the biggest decluttering mistake you don’t know you’re making from My Love for Words and tweak your approach to make it even more effective. If you need a little more inspiration, check out my three simple steps for easy decluttering. I’d love to know about any posts you found particularly inspiring or uplifting this week. How are you taking care of yourself this weekend?